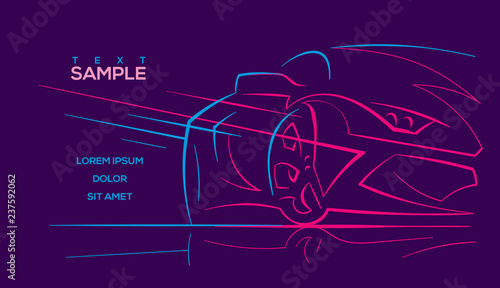 Modern car abstract neon line illustration. Vector. Text outlined.